Alternative and complementary health care for horses continues to remain popular amongst horse owners and trainers, with an increasing number of natural horse supplies, horse supplements and treatments on the market. Originally founded by equine herbalist Suzanne Woodward DBTh, MRH, MURHP, Equine Natural Health is a complete resource for those who require information regarding natural treatments, therapies and products for your horse. Natural healthcare for horses is ever increasing in popularity. There are many products on the market that make use of natural ingredients in both treatments and food supplements so, as well as looking at the herbs to treat horses, we will also review natural products that are available. Our ‘Guide to Equine Health Therapists’ provides information on the various alternative and complementary equine therapies, available in the UK. Although often asked to recommend a therapist, we are unable to recommend one particular school or therapist as being superior in any way to another. The contact details for the various therapists and associations are provided, giving you the information needed to contact them. After a phone chat or visit to a particular therapist or school, you can choose the course or therapist best suited to your particular needs. The choice is yours – we merely provide the information needed to contact them.We list only reputable therapists and associations with recognised qualifications. 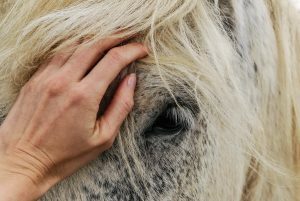 If you are a therapist or provide equestrian service and would like a listing on the site, please contact us. We also welcome articles and ideas from equine therapists and service providers for the site. Do you have an article for us? Visit our updated therapies pages and you will see courses on that particular subject. There are courses to suit all abilities, some being taster courses over a weekend for the horse owner, others being professional courses leading to registration and a career as an equine health practitioner. Now is the time to follow your interest in complementary health for horses. Alternative health books for horses are featured throughout the site. The books have been carefully selected and reviewed by our therapists. Many new titles have been added.